The Ford Focus has always been one of the best-handling C-segment cars I’ve ever driven. The biggest drawback it has for the Malaysian market is that it’s a little small on the inside, being an European product where their C-segment cars are a little smaller. Their Civic is a smaller hatch compared to the large 2,700mm wheelbase version we get here. And here it is, the latest edition of the Focus. Ford pegs it as all-new, and technically it should be considering that the 2nd generation Focus has already been facelifted. So this is basically the third generation and for the first time the Focus is a world car instead of being two different products for North America and the rest of the world. I had a go at the North American product earlier this week and I can understand why American journos have been calling for Ford to bring the Euro Focus across the ocean. Well, they don’t have to do that anymore – they are going to get this new global Focus as well. 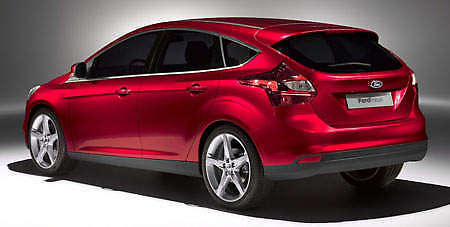 The design is far edgier compared to the outgoing Focus. Ford attempted to add some Kinetic Design elements to the current Focus when it got facelifted but because there’s just so much you can change during a facelift, the end result was not as ‘kinetic’ as say, the new Fiesta or the new Ford Kuga. With this new body, Ford has pulled out all the stops with their Kinetic Design – check out details like the ‘zorro Z’ design at the front wheel arch. The ducktail on the sedan’s boot is also pretty prominent. Some might feel it’s perhaps a little too overdone, especially the details of the front bumper. 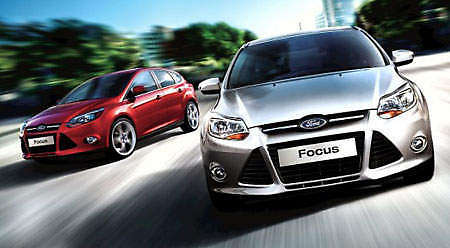 They look like they belong on an aggressive model like an ST or an RS, but these are just your regular Focus models. But this could also be a good thing for some customers – no mods needed. Wheelbase has unchanged, though the new Focus is a little longer mostly due to pedestrian safety requirements. This means the overhangs are longer. What this will mean is that the interior space is probably largely unchanged over the 2nd generation. Ford says based on their market research this is a good balance between size and fuel economy but to me, for a world car there definitely will be markets where a larger vehicle will be called for. After all, that is why Honda split the CIvic in two. In these markets, certain buyers will look to other vehicles no matter how good the Focus looks simply because of interior space. The new 3rd generation Focus also differentiates between the sedan and the hatchback variant more than the 2nd generation did. The vertical tail lamps are gone on the hatchback in favor of wider rear glass but the tail lamps remain mounted high-ish. Changes to the platform between the 2nd generation and the 3rd generation mostly covers the way the suspension subframes are mounted. 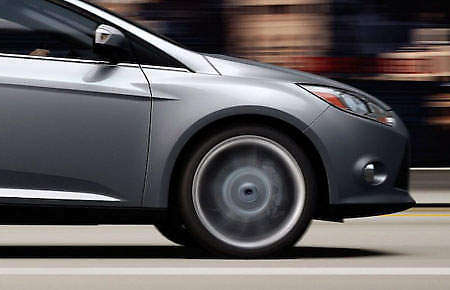 There has been some changes which are primarily driven by the desire to increase the level of NVH damping of the Focus. 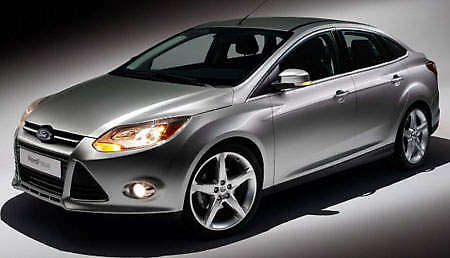 Thus you can expect the new Ford Focus to feel a little more refined than the outgoing one. Techniques such as the use of sashed doors, dual plane sealing, more aerodynamic wing mirrors and windshield wipers are used. Ford says the new Focus Global C platform shares only about one third with the new Mazda 3, while the rest are exclusively Ford. Ford wanted the new Focus to be more refined and more quiet, as quiet is one of the factors that we take into account when our brains process the feel of ‘quality’. 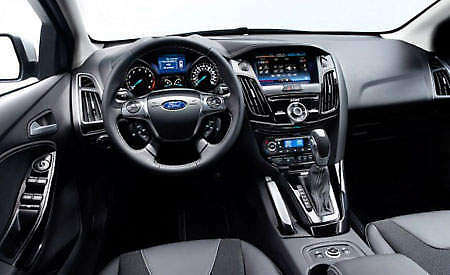 Quietness is also a big thing for what Ford defines as the new Ford flavor these days – they are investing alot into ways they can make their cars more silent, as I will show you in an upcoming post. The Detroit showcar features a new 2.0 liter DI Ti-VCT engine. Those acronyms basically mean the engine has direct injection and dual variable valve timing, both on intake and exhaust. This new engine makes up to 20 horses more power than the current Mazda-based Duratec 20, while consuming 10% less fuel. 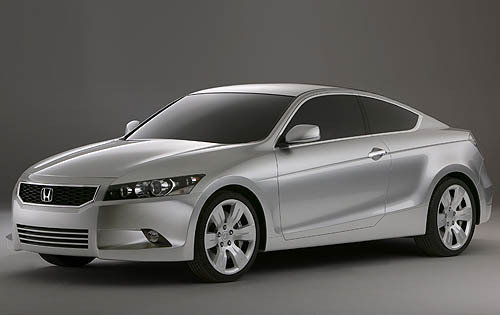 The 4-speed auto has also been replaced by a new 6-speed Powershift dual clutch transmission. Apparently there is also an active grille shutter system, which shuts off some of the air intakes to improve aerodynamics whenever the extra cooling is not needed. The new Focus will also debut an EPAS system for the first time. EPAS is basically an electric power steering. Alot of other manufacturers have started using EPAS systems in their cars but most people say an electric power steering is more ‘dead’ and unnatural compared to a regular hydraulic one. But Ford believes that a properly tuned EPAS can actually improve steering precision and feel over a hydraulic one. According to Ford, there are over 250 parameters and settings in an EPAS that has to be finetuned in detail to achieve a good feel. 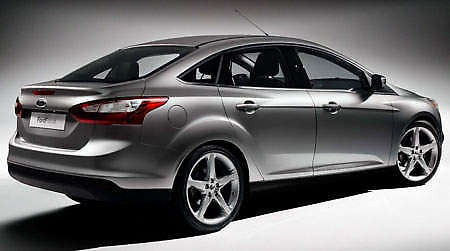 As the 2nd gen Focus was a great drive, I hope Ford got all the variables right! There’s also a Dynamic Cornering Control system which counteracts slip on the inner wheel during a corner to improve cornering performance and turn-in. Also new is the MyFord system, which is basically like iDrive. You use a phone-style 5-way button on your steering wheel to control the user interface. MyFord is built on Microsoft Windows Auto. Quite a few companies are basing their new in-car systems on Windows Auto, such as Fiat’s Blue&Me and the new system from Kia. 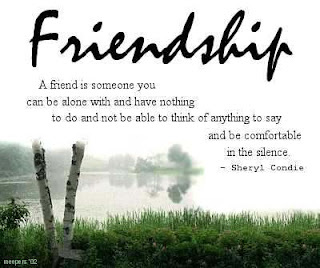 There’s also voice commands, so you can say Call Muthu for the phone to call up Muthu in your phonebook. MyFord is the sibling to the touch operation-based MyFord Touch and MyLincoln Touch showcased at the CES end of last year. This is one of 10 cars that will spawn from this new “Global C platform”, as Ford calls it. The first was the new C-MAX and Grand C-MAX MPVs which we saw at Frankfurt last year. Ford plans to put the this new third generation global Ford Focus into production for Europe and North America late this year, with a showroom debut in early 2011. It will be quite some time before it hits Malaysia (only early 2012 optimistically), but let me let you in on a secret – we’ll see an interesting new variant of the 2nd gen Focus here soon. This additional variant to the current generation Focus will feature diesel power! One of the eye catching displays over at GM is the Buick Regal GS. The Regal is basically the European Opel/Vauxhall Insignia rebadged as a Buick for the US and Chinese market (Buick is a highly regarded marque in China). This GS showcar features a potent performance package – 255 bhp/400 Nm 2.0-litre Ecotec turbo engine with power going to all wheels via a six-speed manual gearbox and electronic LSD. Acceleration from nought to 60 mph (96 km/h) is “less than six seconds”. 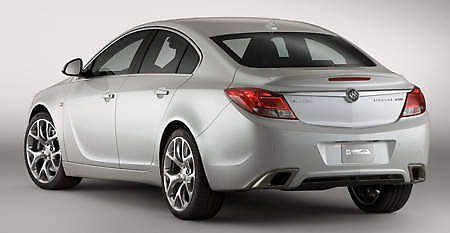 The Vauxhall Insignia VXR, which has a 320 bhp 2.8-litre Ecotec V6 turbo does the same sprint in 5.8 seconds. The Regal GS features a lowered body and aggresive styling that mimics the VXR, except that it wears Buick’s signature “waterfall grille”. The show car wears 20-inch wheels. That front HiPerStrut suspension helps reduce torque steer and maintain negative camber during cornering, improving grip and feel while isolating undesirable feedback. The GS features Brembo brakes with cross-drilled rotors, four-piston aluminum calipers and uprated pads. Interactive Drive Control System (IDCS) chassis technology allows the selection of three modes – normal, sport and GS – that change suspension settings, throttle response and steering sensitivity. Inside, the Regal GS features a full black interior, sport shifter, a suede-covered, flat-bottom steering wheel and Recaro seats with four-way lumbar support and cushion extensions. This is the Volkswagen New Compact Coupe (NCC), Wolfsburg’s Detroit show star. Looking a lot like a “poor man’s Audi A5″ the NCC is powered by a hybrid powertrain which combines a 1.4-litre TSI engine with 148 bhp and 220 Nm and a 27 bhp electric motor VW calls E-motor. Naturally, power goes to the front wheels via a 7-speed DSG gearbox. VW quotes great consumption and emission figures – 23.8 km/l economy and 98 g/km of CO2 to be precise. As a comparison, the Eos Bluemotion is rated at 16.1 km/l and 144 g/km. Performance is not sacrificed to achieve this; 227 km/h top speed and 0-100 km/h in 8.6 seconds are resepectable. A 1.1 kWh lithium-ion battery pack stored in the NCC’s rear powers the E-motor. Efficiency measures include regenerative braking, stop-start and a “coast down” measure, where engine is disengaged from transmission as soon as the driver releases the gas pedal. This is even possible at higher speeds, as in highway cruising. Drag losses are eliminated, so the NCC coasts for a long time to save fuel. At 4.54m long and 1.78m wide, the NCC has a similar footprint to the Jetta, although it has a lower roofline and longer wheelbase (2.65m) than the sedan. Boot volume is 380 litres. The four-seat coupe is positioned between the Scirocco and Passat CC. You can probably image that the new Mk6-based Jetta will be a four door version of this one. Everything looks highly ready for production, from the simple, cleanly designed body to the cabin that uses parts found in current VW models. Chief Designer Klaus Bischoff describes the NCC as having a “timeless dynamic and purist elegance that is typical of Volkswagen”. When will it be launched? “When the time is right,” is the statement in the press release. Pada sebuah bukit tandus di timur laut Georgia berdiri salah satu monumen di dunia yang paling aneh dan misterius. Tapi itu tidak diciptakan selama zaman kuno. Dikenal sebagai 'Georgia Guidestones', struktur batu 16-meter-tinggi, lempeng granit 20-ton dipoles dan tertulis dalam delapan bahasa. Di pantai selatan Yonaguni, Jepang, reruntuhan terletak terendam diperkirakan sekitar 8.000 tahun. Tempat ini ditemukan pada tahun 1995 oleh seorang penyelam olahraga yang menyimpang terlalu jauh dari pantai Okinawa dengan kamera di tangan. Lepas pantai Alexandria, kota dari Alexander Agung, apa yang diyakini tidak adanya reruntuhan kerajaan Cleopatra. Hal ini diyakini bahwa gempa bumi lebih dari 1500 tahun yang lalu membuat bangunan ini jatuh ke laut, bersama dengan artefak, patung-patung dan bagian lain dari istana Cleopatra. Kuil terbesar Romawi yang pernah berdiri di reruntuhan tidak dibangun di Yunani atau Roma, tetapi di Baalbek, Libanon. Tak seorang pun tahu apa yang membuat situs ini begitu istimewa ke Roma, untuk mendorong mereka untuk membangun, memindahkan dan merakit blok batu begitu banyak. Easter Island, juga dikenal sebagai Rapa Nui di tenggara Samudra Pasifik, yang paling terkenal dengan patung-patung yang monumental yang dibuat oleh orang-orang Rapanui. Berat nya sekitar 86 ton, yang menggambarkan betapa besar prestasi untuk Rapanui telah menciptakan dan memindahkan mereka. Salah satu monumen yang terkenal dunia mungkin Stonehenge, terletak di daerah Wiltshire Inggris. Meskipun teori dan spekulasi bermunculan, tidak ada yang tahu apa tujuan awal monumen prasejarah dan tetap menjadi salah satu misteri terbesar bumi. Machu Picchu adalah kota paling lestari dari Kekaisaran Inka, tersembunyi tinggi di Andes Peru, di gunung curam dengan telapak yang rata. Sedikit orang tahu bahwa negara Afrika modern Zimbabwe dinamai reruntuhan batu, terletak di pedesaan. The Great Zimbabwe Ruins adalah beberapa struktur tertua dan terbesar di Afrika Selatan. Lima abad silam, sebuah kapal sarat emas karam di lepas pantai bertabur berlian. Kisah mustahil ini mungkin akan terkubur selamanya seandainya tidak terjadi penemuan mencengangkan pada April 2008. Yakni penemuan kapal karam di pesisir pantai Sperrgebiet, sebuah daerah sewa-pakai tambang berlian De Beers yang luar biasa kaya dan dikenal amat terlarang bagi umum di dekat muara Sungai Jingga di pesisir Namibia sebelah selatan. Geolog perusahaan yang bekerja di daerah pertambangan U-60 secara tak sengaja menemukan sesuatu yang semula ia kira adalah sebongkah batu berbentuk setengah bulatan yang mulus. Karena penasaran, dia memungutnya dan langsung menyadari bahwa benda itu adalah inggot tembaga. Tanda berbentuk trisula di permukaannya yang sudah lapuk ternyata adalah tanda resmi Anton Fugger, salah seorang taipan terkaya era Renaisance di Eropa. Inggot tembaga itu adalah inggot yang ditukar dengan rempah-rempah di kawasan Hindia pada separuh pertama abad ke-16. Para arkeolog kemudian secara mencengangkan menemukan 22 ton inggot tembaga di bawah pasir, bersama dengan meriam dan pedang, gading dan astrolab, musket (jenis senapan kuno) dan rompi dari jalinan mata rantai, seluruhnya ada ribuan artefak. Juga emas, tentu saja, dalam jumlah berlimpah: lebih dari 2.000 koin indah yang berat, sebagian besar berupa excelente Spanyol berukir gambar Ferdinand dan Isabella. Terdapat pula sedikit koin Venesia, Moor, Prancis, dan koin lainnya selain koin Portugal yang sangat elok dengan lambang kebesaran Raja João III. Ini adalah kapal karam tertua yang pernah ditemukan di pantai Afrika sub-Sahara, juga yang paling berharga. Nilainya dalam dolar tak terkira. Namun, yang mengobarkan gairah para arkeolog dunia bukanlah harta karunnya, melainkan kapal karam itu sendiri. Sebuah East Indiaman Portugal dari tahun 1530an, tahun yang merupakan jantung masa penemuan, dengan muatan harta dan barang dagang yang masih utuh, terkubur tak terjamah dan tak terduga di dalam hamparan pasir ini selama hampir 500 tahun. Para peneliti pastilah membutuhkan waktu bertahun-tahun untuk mengkaji barang yang berlimpah ruah yang didapatkan sedikit demi sedikit dari Kapal Karam Berlian itu, begitu julukannya sekarang. "Begitu banyak yang tidak diketahui," kata Filipe Vieira de Castro, koordinator kelahiran Portugal yang memimpin program arkeologi kelautan di Texas A&M University. Castro menghabiskan waktu lebih dari sepuluh tahun mengkaji beberapa kapal dagang Portugal atau nau, dan belakangan ini mengembangkan model komputer berdasarkan sekelumit bukti arkeologi yang ada. "Kapal karam ini memberi kami wawasan baru tentang banyak hal, mulai dari rancangan badan kapal, tali-temali, dan bagaimana kapal-kapal ini berevolusi, hingga kegiatan sehari-hari seperti cara awak kapal memasak di kapal dan barang apa saja yang dibawa orang ketika melakukan perjalanan panjang ini." Menyematkan nama dan kisah pada kapal karam tanpa nama berusia lima abad, yang ditemukan secara tak sengaja di pesisir yang begitu luas, memerlukan pengkajian cermat. Bukan sekadar mengandalkan nasib baik, terutama jika diperkirakan kapal karam itu adalah kapal karam di masa awal Kerajaan Portugal. Meskipun setelah itu Kerajaan Spanyol meninggalkan arsip yang menggunung, namun gempa bumi, tsunami, dan kebakaran yang hebat pada November 1755 bisa dikatakan menghilangkan Lisbon dari peta. Hal ini juga menyebabkan Casa da India, gedung yang menyimpan sejumlah besar peta, bagan, dan catatan pelayaran yang berharga, runtuh ke dalam Sungai Tagus. Lima abad kemudian, di situs arkeologi kelautan yang suasananya ganjil, sekelompok peneliti bertopi dengan kulit terlindung tabir surya tampak sedang melakukan ekskavasi kapal karam yang tergeletak sekitar enam meter di bawah permukaan laut. Sementara itu, Samudra Atlantik dihalangi oleh dinding penahan ombak dari tanah yang kokoh dan besar dengan sedikit kebocoran di sepanjang dasarnya. Kamera televisi sirkuit tertutup (CCTV) yang dipasang di sekeliling batas situs mengawasi gerakan setiap orang yang mengingatkan bahwa di tengah kehebohan penemuan ini, kawasan tersebut tetap sebuah tambang berlian. Di tambang yang kaya, butiran berlian mungkin saja tercampur dengan pasir yang dibersihkan dengan sikat oleh para arkeolog. Bagaimana pun nasib akhir mereka, penumpang Bom Jesus yang selamat tidak pernah mengira ironi indah yang mereka utarakan dalam doa sekian waktu yang silam di Lisbon ternyata dikabulkan. Mereka bertolak menempuh perjalanan panjang untuk mencari kekayaan, bersumpah di altar dan ikon untuk mencapai kebaikan dan kesuksesan. Dan di sinilah mereka sekarang, terdampar di pantai yang memberikan harta yang tak terbayangkan, bentangan gurun sepanjang 300 kilometer yang kekayaannya sungguh menakjubkan, yaitu berlian bermutu tinggi. Di awal tahun 1900an seorang penjelajah bernama Ernst Reuning bahkan bertaruh dengan temannya tentang berapa lama waktu yang diperlukan untuk memenuhi cangkir kaleng dengan permata yang ditemukan berserakan di pasir. Pekerjaan itu hanya memerlukan waktu sepuluh menit saja. Arkeolog Bruno Werz menunggu untuk memandu sepotong balok kayu untuk tali temali ke tangki pengawetan air tawar. Harta yang langka itu menjanjikan sudut pandang baru yang memukau tentang masa keemasan Portugal. Tampak bersahaja dan memilukan, mangkuk dari campuran timah mungkin merupakan tempat makan sehari-hari untuk salah seorang penumpang yang tak beruntung. Uang untuk membeli rempah-rempah India yang bernilai tinggi: koin Spanyol dan Portugal bercampur dengan koin Venesia, Florentine, dan Moor dalam peti kapal. Di kapal karam itu terdapat hampir 23 kilogram koin emas. Tabung sepanjang 12,5 sentimeter digunakan untuk memberikan air raksa kepada para penumpang yang didera sifilis, yang melanda Eropa pada abad ke-16. Astrolab para pelaut membantu para penjelajah menghitung garis lintang dengan mengukur sudut matahari dan bintang yang sudah dikenal di atas cakrawala di kala langit cukup bersih untuk mengamati. Sambil terus-menerus diawasi, para penambang dan arkeolog menyelamatkan sisa-sisa reruntuhan kapal dan harta yang diangkutnya. Selang-selang menyedot pasir yang dihiasi berlian di sekitar kapal karam, yang digali hanya dalam waktu sepuluh minggu. Berlian adalah komoditas yang lazim dicari di garis pantai Namibia. Untuk menahan pecahan ombak Samudra Atlantik, dinding penahan ombak setinggi 10 meter menjaga kegiatan operasi penggalian permukaan raksasa, tempat ditemukannya kapal Portugal yang karam pada April 2008. Penambangan di situ dihentikan, dan para arkeolog bergerak cepat untuk memulai ekskavasi. Sekeping koin Spanyol excelente yang hilang pada tahun 1533 muncul di sebuah tambang di Namibia. Percaya atau tidak keberadaan babi ngepet dianggap sebagai pencari pesugihan. Sabtu malam kemarin, warga Desa Sumbergading/Kecamatan Sumberwringin digegerkan penemuan mahkluk yang diyakini sebagai babi ngepet itu. Adalah, Karsono, 40, warga Sumbergading berhasil menangkap babi ngepet yang berada di teras depan rumahnya. 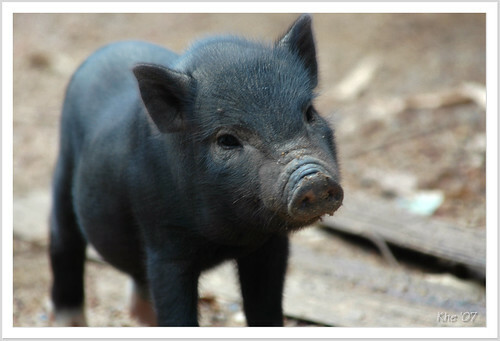 Usai menjalankan salat Isya, dia mendengar ada suara seperti ngorok, mirip suara babi hutan. Dia pun mengambil senter untuk menerangi pekarangan rumahnya. Dia melihat ada makhluk mencurigakan sebesar kucing. Namun, ciri-cirinya seperti babi, hidung bulat panjang, ada taring dan ekor. "Lalu saya menangkapnya," ujar Karsono kepada sejumlah wartawan. Namun, lanjut Karsono, makhluk yang ditangkapnya itu semakin mengecil. "Mengecil sebesar kodok dewasa," terangnya. Selanjutnya Karsono memasukkan makhluk itu ke dalam toples. Namun, sebelum memasukkan makhluk aneh itu, dia memasukkan buku berisi ayat doa-doa. "Saya langsung memasukkan makhluk aneh itu ke dalam toples," katanya. Kejadian itu, akhirnya menjadi tontonan warga sekitarnya. "Banyak tetangga yang datang ke rumah saya untuk melihat babi ngepet ini," katanya. Menurut Karsono, dalam seminggu terakhir ini banyak tetangganya yang kehilangan uang kontan. Bahkan, ada tetangga yang kehilangan uang antara Rp 1 hingga Rp 1,5 juta. "Makanya warga menghubung-hubungkan kejadian kehilangan uang itu dengan penemuan babi ngepet ini," katanya. Oleh sebab itu, kata Karsono, banyak warga yang menganjurkan agar makhluk itu disimpan dalam toples dan dijaga. Selain itu, warga ada yang menganjurkan, agar sebagian tubuh makhluk itu disakiti atau dicederai. "Sehingga akan ketahuan siapa pemilik makhluk itu," katanya. Jika ada orang yang salah satu bagian tubuhnya sakit atau cedera, kata Karsono, maka orang itu adalah pemilik makhluk itu. "Ya, kita coba saja nanti," katanya. Mereka adalah anak kecil yang hidup terisolasi dari kontak dengan manusia, dan mereka ga punya pengalaman untuk mengenal rasa peduli, sayang, benci dan semua hal tentang kehidupan sosial.Mereka semua jelas dilahirkan oleh manusia, tetapi penyebab mereka tinggal jauh dr kehidupan manusia biasanya karena orang tua yg tidak menerima anaknya lalu mebuangnya,anak yg dpt perlakuan kasar lalu kabur jauh, atau mungkin juga anak yg dibawa oleh hewan liar. Pemburu di Hesse (kerajaan jerman), menemukan seorang anak kecil yg berumur sekitar tujuh tahun di hutan. Dia diperkirakan di besarkan oleh serigala, dia berjalan dengan kedua tangan dan kaki dan bisa loncat sangat jauh. Sekelompok pemburu menemukan seorang anak yang hidup dengan sekumpulan beruang di hutan litthuania. Pemburu menangkap anak itu, walaupun anak itu sudah melawan dengan menggigit dan mencakar mereka. Anak itu di bawa ke warsawa, tp tetap memakan daging mentah dan rumput liar dan tetap menggeram seperti beruang. menurut keterangan Serge Aroles, Marie lahir di wisconsin, di zaman penjajahan perancis. seperti anak" perempuan lainnya dia di jual sebagai pembantu. lalu dia di rawat oleh seorang wanita kaya dan di bawa ke perancis lalu dia lari kehutan di daerah provence, dan ditemukan lg sepuluh tahun kemudian. setelah itu, dia berhasil menyesuaikan diri dengan lingkungan sekitar, bisa membca dan menulis, dan meninggal sebagai wanita kaya di umur 63 pd thn 1975. Seorang anak laki" di temukan telanjang di hutan di dekat Saint-Sernin-sur-Rance, Perancis. Umur anak ini tdk di ketahui, kemampuan dia untuk berbahasa kurang, badannya penuh cakaran dan makanannya pun aneh, di indikasikan dia telah lama tinggal di hutan. Orang tua dia meninggal di bunuh ketika terjadi perang di uganda pada saat dia berumur 3 tahun. dia ditemukan beberapa thn setelah perang oleh tentara di tengah hutan. Dia diperkirakan dibesarkan oleh monyet vervet. Berita tentang anak ini bermula di tahun 1973, di uttar pradesh, India. Diperkirakan hidup seorang anak berumur 12 tahun di sekitar sungai kuano dan bergaya hidup seperti amfibi. Dan sepuluh tahun setelah itu, warga berhasil menangkapnya dan di bawa ke desa di daerah sekitar. Dia tetap memakan daging mentah, berjalan dengan cara yg aneh, dan menghabiskan waktu di sekitar sungai. Dia meninggal karena mengagetkan wanita, lalu tersiram air panas. andes goat boy, di temukan di peru. dia diperkirakan 8 tahun hidup dan dibesarkan oleh kambing. dia ditangkap dan di teliti oleh kansas university. bello ditemukan di hutan falgore, dan diperkirakan dia dibesarkan oleh simpanse.sekarang bello tinggal di tuden mariki torrey home di kano. Dia ditemukan oleh biarawati di sierra leone , dia diperkirakan di besarkan leh monyet karena gaya berjalan dan makan tanpa tangan tp langsung dari piring. Walaupun berusia tujuh ketika dia ditemukan, Traian Caldarar hanya ukuran tiga tahun, tidak bisa berbicara, dan telanjang dan hidup dalam kotak karton yang dilapisi dengan lembaran polythene. Dia menderita rakhitis parah, telah terinfeksi,mungkin karena radang dingin. Dia dioerkirakan dibesarkan oleh anjing. 11. Lyokha, Kaluga, Rusia Tengah (Desember 2007). Dia diperkirakan tinggal dengan serigala dan berperilaku seperti serigala. Dia tidak dapat berbicara bahasa manusia manapun. Dibawa ke sebuah rumah sakit di Moskow, ia menerima beberapa pengobatan medis, mandi dan di beri makan. ia yakin kalo dirinya masih di alam liar. gadis hutan Kamboja, Kamboja, (2007), diduga Rochom P'ngieng, yang tinggal 19 tahun di hutan. Setelah mendengar tentang peristiwa itu, 45 tahun Sal Lou , yang termasuk dalam [Pnong etnis minoritas] dan bekerja sebagai polisi desa di desa Oyadao, pergi ke daerah dan menyatakan bahwa perempuan itu adalah putrinya lama hilang. Dia kehilangan putrinya saat putrinya berusia delapan tahun, pada 1988, putrinya tersesat di hutan ketika merawat kerbau dekat perbatasan vietnam. Anak laki-laki berusia sekitar 10 ditemukan di tengah-tengah kawanan kijang di gurun Suriah, dan hanya tertangkap dengan bantuan sebuah jip militer Irak, karena ia bisa berlari dengan kecepatan hingga 50 kilometer per jam. Meskipun sangat kurus, ia dikatakan telah sangat sehat dan kuat. Ia ditangkap dan diikat tangan dan kakinya. kisah anak syria ini tetap diperdebadkan keasliannya. di afrika utara, Sidi Mohamed anak lain yang namanya tak pernah hilang. Dia bermain di luar pada usia 5 atau 6, dan berjalan-jalan ke semak dimana ia bertemu burung unta, yang menjadi keluarga angkatnya.Sekitar 10 tahun kemudian Sidi Mohamed akhirnya tertangkap oleh pria yang pergi berburu. amala dan kemala adalah anak anak yang dibesarkan oleh serigala dan ditemukan oleh singh, anak" itu tdk mau memakai baju, gigit dan mencakar orang yg mendekati mereka,menolak makanan masak, tdk suka cahaya, dpt melihat dgn jelas di kegelapan, berjalan dengan kedua tangan dan kaki . mereka meninggal muda karena infeksi ginjal. dan kisah mereka tetap menjadi kontroversi.